This is a sponsored post on behalf of the American Dairy Association Mideast. All opinions are, as always, my own. Can I just say how awesome it is that there is an entire month dedicated to the grilled cheese sandwich? 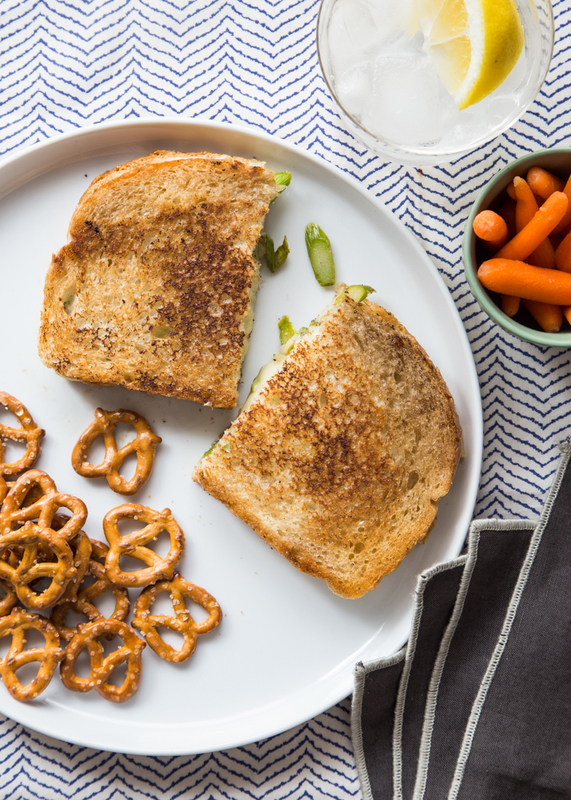 Yes, if you were not aware, April is National Grilled Cheese month and I am pretty pumped to share my Asparagus Grilled Cheese sandwich recipe with you. The grilled cheese sandwich from my childhood is still one of my very favorites. Standard sandwich bread spread with Miracle Whip topped with a few slices of American cheese and grilled with plenty of butter on the outside of the bread. Oh my gosh, it was a gooey plate of Midwest wonder. 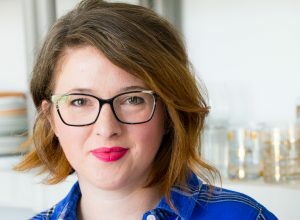 I make my childhood grilled cheese for my own kids all the time, although the cheese gets switched up. Sometimes it’s white cheddar, sometimes it’s pepper jack and sometimes it’s wonderfully melty Swiss cheese. When the ADA Mideast asked me if I would share one of my favorite variations on the grilled cheese in celebration of National Grilled Cheese month. So don’t forget to slice it thinly! 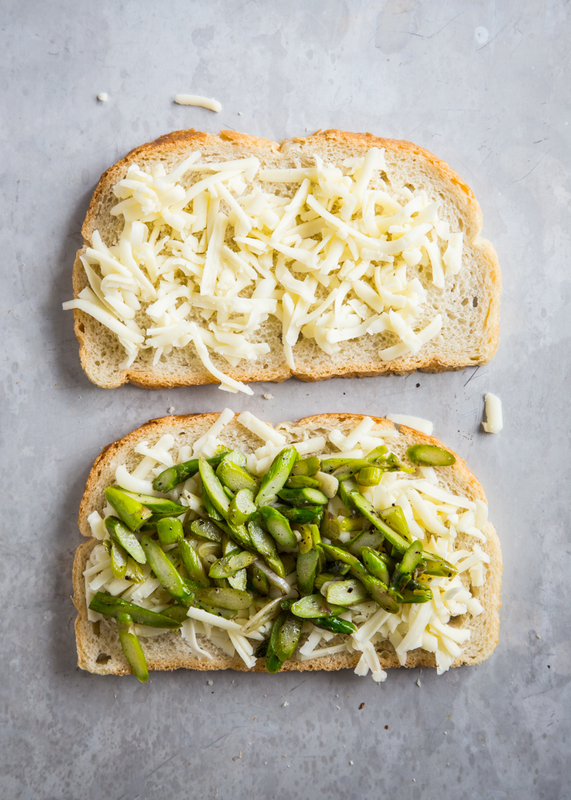 I sautéed my asparagus with some olive oil and garlic to pump up the flavor and when paired with a lacy Swiss cheese – it makes a killer grilled cheese! Plus, its a great way to pack some veggies into what is traditionally non-vegetable meal. I’m a firm believer that cheese makes everything better. Back in the Fall, I had the pleasure of joining the ADA Mideast on an Ohio Dairy Adventure to learn all about dairy and cheesemaking. A trip all about cheese? Yes, please! We had so much fun touring several dairy farms and visiting Pearl Valley Cheese to see how all of their amazing cheese is made. I have to say that I’m pretty proud to come from Ohio which is the Swiss cheese capital of the country. I’m thinking I need to head back to Cleveland and Melt before April is over. In the mean time, I’ll be creating some of my very own grilled cheese combos in my very own kitchen. 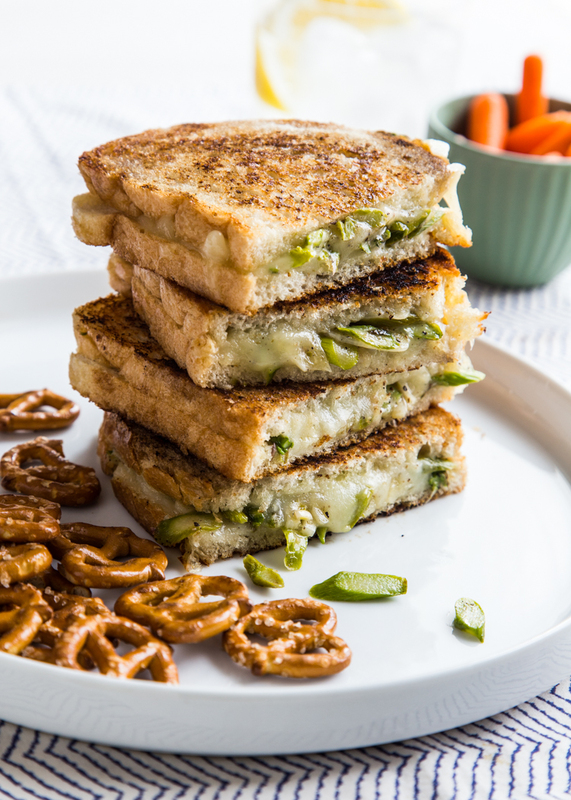 Be sure to head over to the ADA Mideast Blog for my full Asparagus Grilled Cheese recipe. And also check out Courtney’s Mushroom and Swiss Grilled Cheese. 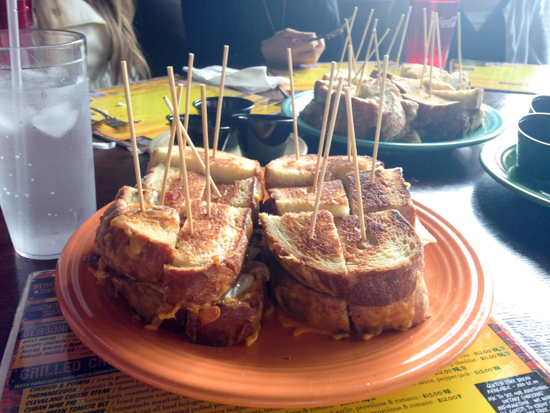 What are your favorite grilled cheese combinations? I’m so glad to hear I’m not the only Miracle Whip lover. I still require both Mayo and Miracle Whip in my fridge at all times. 🙂 This sandwich looks so fabulous and I had a total DUH moment when I realized you sliced and sauteed the asparagus in small pieces. 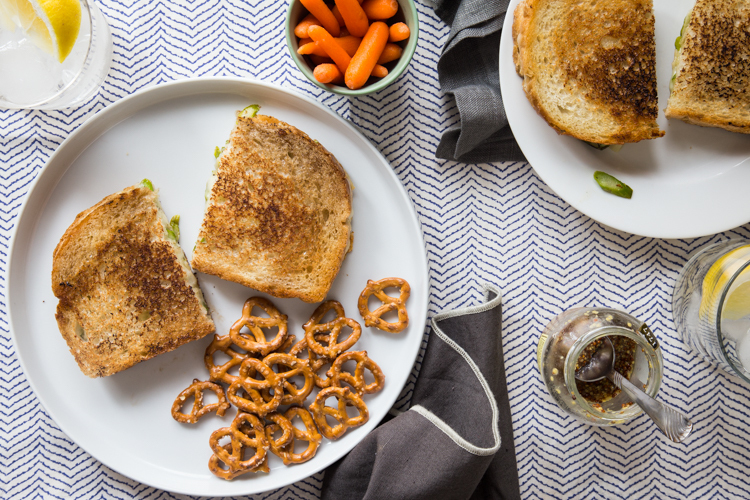 No awkward stringy pieces slipping out of the sandwich before you’re ready! Yes!! Miracle Whip is the best 🙂 I didn’t start liking mayo until I was an adult, and even now I only like it for certain recipes. Sandwiches always are Miracle Whip for me, lol. So glad you like it too! I love asparagus! I love grilled cheese! So I’m going to love this! Can’t wait to try it! Great idea! Isn’t that some thing pretty! 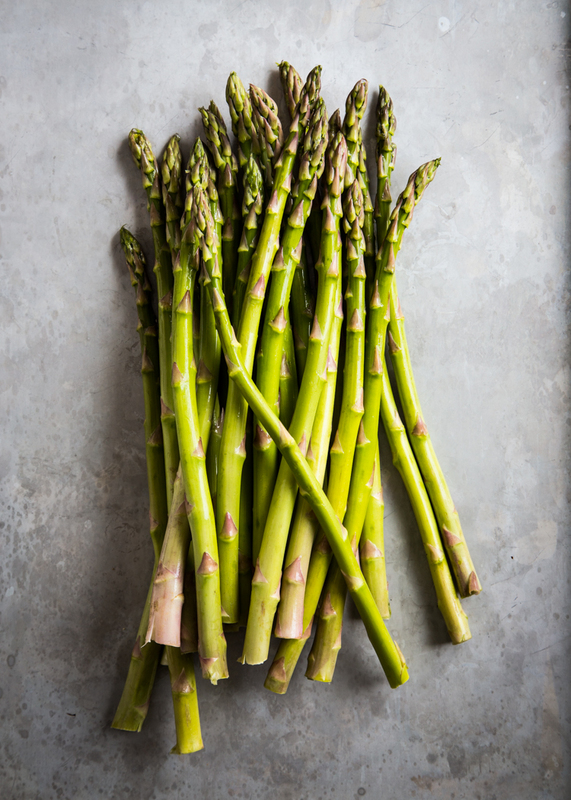 Love the way you sliced the asparagus too! Makes the sandwich look so fancy, even from your own kitchen. Rainy day in the forecast for tomorrow calls for this sandwich! 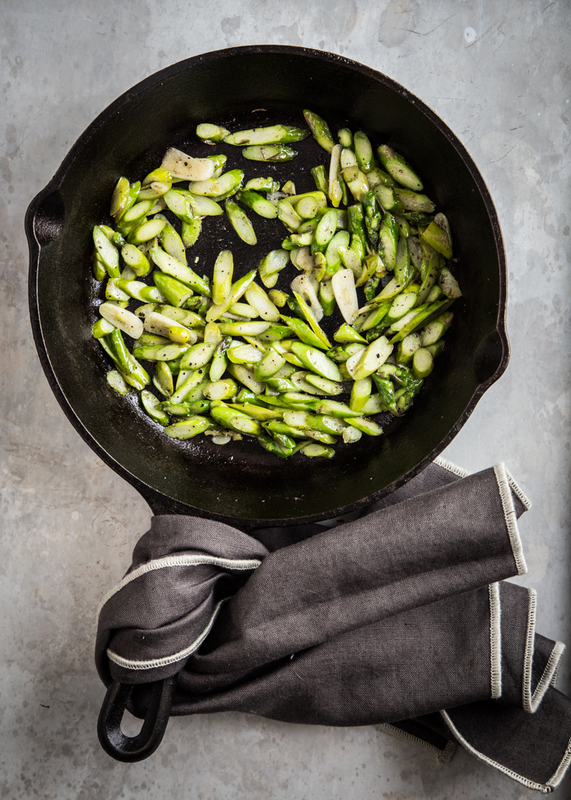 Do you think this recipe would work with frozen asparagus?